News of the pending demolition of one of Music Row's last iconic honky tonks, Bobby's Idle Hour, has been particularly difficult for John Scott Sherrill. So the legendary songwriter is planning to say good-bye in fashion with a series of monthly performances — which he calls a "While There's Time" event — beginning in October and continuing through the first of the new year. Sherrill, who has topped the Country charts just shy of a dozen times and can boast nearly 400 covers of his songs, has long considered Bobby's his favorite place to hang. Bobby’s Idle Hour, long recognized on 16th Ave. South with it’s oversized guitar next to its undersized parking lot, is the latest business to receive an eviction notice to make room for a new, upscale office building. The club is set to close in early 2019. At each of his “artist-in-residence” performances, Sherrill will invite songwriting pals to join him, trading their songs in keeping with the spirit of the tavern’s history. (Sherrill is set to appear October 6, November 3, December 1 and January 5). The ongoing development on Music Row has been a source of contention for the past five years. During that time, just under 50 Music Row studios and music industry businesses have been leveled to make way for apartments and office buildings. “It just seems to be disappearing without any appreciation at all for the work that has been done here by the music community over the past century,” Sherrill says. “It’s heartbreaking. “But I’m not looking at these performances as a ‘death march,” he continues. “I want to celebrate what Bobby’s has meant to me and so many others of our community. Plus, it’s my hope that ‘Lizard’ (owner Thom Case) will find another home for Bobby’s. "That's kind of what's behind this 'idle good-bye.'" 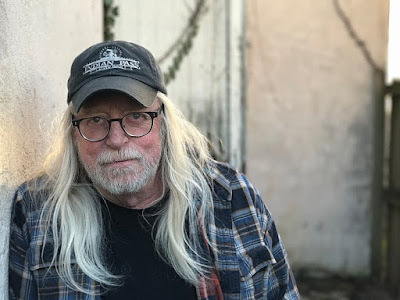 Since showing up in Nashville more than four decades ago, John Scott Sherrill has earned a reputation as one of the most reliable, consistent songwriters in a city where you can’t swing a dead cat without hitting another songwriter. During his tenure on Music Row, he has scored 11 Number One Hits and countless covers by a veritable “who’s who” list of artists including John Anderson, Patty Loveless, Jimmy Buffett, Josh Turner and even Mick Jagger, among others. With the exception of a short stint with hit Country Music group Billy Hill, Sherrill has remained quietly behind the scenes, letting those other artists interpret his work. That all changes with his new Mr. Honky Tonk, an album that reflects his everyman sophistication, evident not only in his songwriting and the production, but also through his honest and authentic voice.